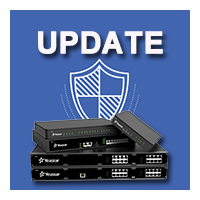 We are pleased to announce that Yeastar TA1600/2400/3200 V3 Gateway new version is officially released today! Updated with whole new hardware design and added support for remote management, the brand new TA1600/2400/3200 V3 Gateway, best known for its feature-rich functionality and easy configuration, will continue to serve as a reliable assistant for small-and-medium-sized enterprises looking to integrate their traditional phone systems into IP-based ones. Add one WAN port on the front panel. Relocate the reset button, the power indicator and the network port to the front panel. Integrate the URAT interface (for debugging the system) into the inside of the enclosure. Additional DSP modules are supported to be installed on TA3200. By adding DSP module D30 to the gateway, customers can expand the system capacity by upgrading a variety of features and functionality including the number of SIP users and concurrent call capacity. Remote management is enabled for instant and secure technical support. With remote management now applicable to the new TA Series VoIP Gateways, you can react to your customers’ system issues right away, realizing instant remote control at your fingertips. By providing customers with professional support and secure services, you can win more appraisals from the much-delighted customers and generate recurring revenues from this profitable solution. 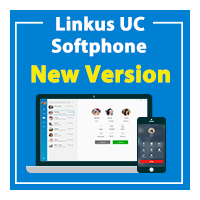 As the whole industry is moving towards All-IP, providing customers with a transitional solution to combine the out-of-date telephony systems with the in-trend IP-based ones is a priority for businesses like us. And that’s what Yeastar TA Series VoIP Gateways could do. 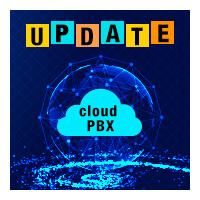 By connecting legacy telephones, fax machines and PBX systems with IP telephony networks and VoIP PBX & Cloud PBX systems, the business-enhancing TA Series VoIP Gateways can keep the old devices in use and further improve the capability of your telephone system. Visit our website for detailed information about the Yeastar TA-Series VoIP Gateways.